Dr. Gerber was born and raised in Chicago, IL. He received both his undergraduate degree and master’s degree in physiology of exercise from the University of Illinois and his medical degree from Loyola University, Stritch School of Medicine. During his postgraduate education, Dr. Gerber was a Research Fellow in Experimental Pulmonary Pathology at the Stritch School of Medicine. Then he completed his residency in Internal Medicine and his fellowship in Cardiology at the University of South Florida College of Medicine in Tampa, Florida in 1980. He was trained in coronary and peripheral vascular interventions in 1980. In 1986, Dr. Gerber was a visiting professor at the University of Normandy in Rouen, France, where he developed expertise in interventional, non-surgical treatment of structural heart disease and subsequently participated in the development of the percutaneous aortic valve procedure. 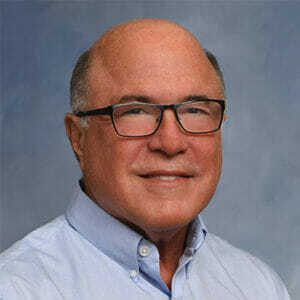 Dr. Gerber is a Diplomate in the American Board of Internal Medicine, Subspecialty Board of Cardiovascular Disease, Subspecialty Nuclear Cardiology and Subspecialty Interventional Cardiology. He is a fellow of the American College of Cardiology and the American Heart Association. He is a member of ILADS and completed the Lyme Fundamentals Course. Dr. Gerber has held academic and research faculty appointments and has co-authored multiple cardiology publications and textbook chapters. Practice interests have included cardiac prevention and rehabilitation, interventional cardiology and cardiac imaging. Subsequent to his own journey with disabling neuroborelliosis he became a Lyme literate physician. He is in the process of evolving a new practice of holistic cardiology with a personal understanding and special interest in helping patients and their families with Lyme and associated diseases to achieve the healing that they deserve. Dr. Gerber’s goal for all of his patients is to stay healthy and vital as they age, while achieving good energy levels, body composition, functional and cognitive ability and, sexual function. With his guidance, patients will minimize risk for disease; including heart disease, diabetes, stroke, cancer and dementia. Health is not the absence of disease. Prevent the loss of health and preserve your good health through interactive Bio-Individual care with Dr. Gerber. Plan for the future of your family. Childhood obesity, diabetes, learning disabilities and autism are epidemic. By attending to Bio-Individuality and genetic predisposition, you will improve the likelihood of having happy, healthy children. His goal is to help each individual, along with their family and families-to-be, to achieve optimal health and optimal daily function throughout their life. and provide a guided pathway for a lifetime health investment.